I had the best book birthday, and have been busy over the last few days with social media, drinking lots of celebratory Prosecco and chatting with friends and family about my book. But now publication day is over, the book is out and I need to get back to work. I have a fairly tight deadline for the follow up to The Language of Spells and I need to knuckle down. Especially considering the kids only have another four weeks of school before the long summer holday… Eep! 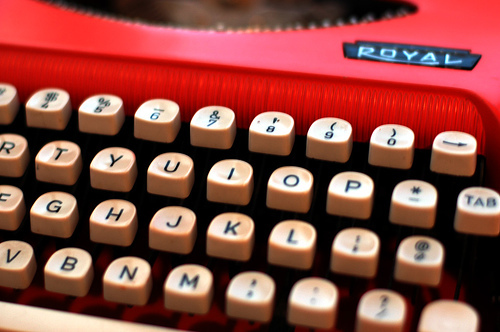 In the spirit of refocusing on writing, I’ve got a few writing-craft links to share. Hope you find them useful. YA author, Natalie Whipple, has written a great piece on using description. Emma Darwin’s clear and useful post on the benefits of using Scrivener for creative writing. Sarah Beth Durst examines the tricky art of opening a story. The Writer’s Toolbox: First Lines. My writing column for Novelicious this week is, appropriately enough, all about writing advice. Oh, and I’m also on my publisher’s website talking about using collage and casting the characters in The Language of Spells.